Animal communication is achieved by tuning into the animal and being able to communicate with them. In the horse world this is known as a Horse Whisperer. If the ability to tune into a human is attained then with some fine tuning the animal world can also be "tuned into". This can be very helpful when there are recent changes in an animal's behavior and you would like to get to the root of the problem. It's true, ask my cat Jedd B. All living things are inextricably linked together. It is this interconnectedness that compels us to understand our animal friends on a much deeper and more meaningful level. If you desire a closer relationship with your animal friend, if you would really like to know what your animal is thinking, telepathic animal communication is the necessary tool to achieve just that. Telepathy is something every living being is born with. 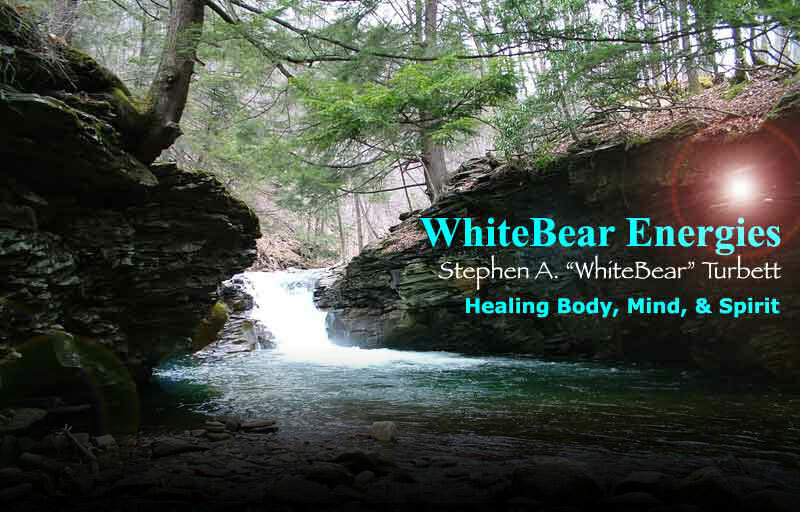 Allow WhiteBear to reintroduce you to your telepathic abilities so that you can communicate directly with your animals friends. As we share our life and home with our animal friends, it is inevitable that our actions, or the actions of others can adversely affect these animals. Whether or not these actions are intentional they can result in emotional trauma suffered by the animal. Animals may exhibit emotional trauma in different ways, including undesired behavior.Human-animal communication is easily observed in everyday life. The interactions between pets and their owners, for example, reflect a form of spoken, while not necessarily verbal, dialogue. A dog being scolded does not need to understand every word of its admonishment, but is able to grasp the message by interpreting cues such as the owner's stance, tone of voice, and body language. This communication is two-way, as owner's can learn to discern the subtle differences between barks and meows... one hardly has to be a professional animal trainer to tell the difference between the bark of an angry dog defending its home and the happy bark of the same animal while playing. Communication (often nonverbal) is also significant in equestrian activities such as dressage.Animal Communication, also known as interspecies telepathic communication is the ability to telepathically connect with a being of another species and communicate with them. Two-way communication is accomplished not only with words, but with images, feelings, thoughts and emotions. All species are born with this ability. Unfortunately for humans, telepathic abilities are quickly lost, not only because we become so accustomed to verbal speech, but also because our society does not readily accept this form of communication. Some people may think animal communication is very odd, or even unbelievable. The truth is that by communicating with other species, one begins to understand the interconnection of all living things. One can experience the beauty and harmony that is possible when we understand that all living creatures are intelligent beings, with their own feelings, thoughts, desires and perceptions of life and those they interact with. Having the opportunity to find out what your animal companion’s thoughts, feelings and attitudes are can greatly enhance your relationship with one another and bring great joy and happiness into your life. * Animal Communication is not meant to replace veterinary medicine. Behavior issues: Problems can often be resolved once you know why the animal is behaving in a particular way. Examples include barking, chewing, aggressive behavior or house breaking/litter box issues. Hearing the animal's perspective helps you find a solution together. However, communication is not a replacement for gentle, positive training.